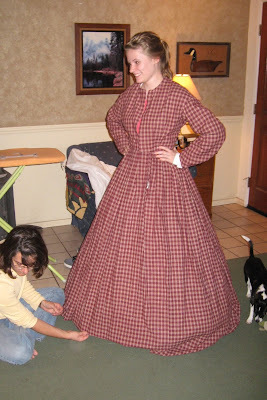 The project: a Civil War era dress. Still smiling after hours and hours of work. 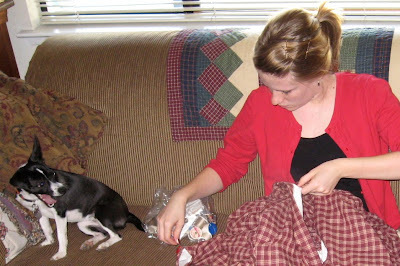 Lots of hand-sewing goes into this dress. 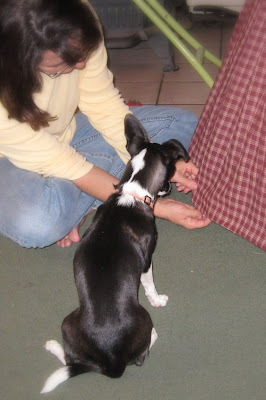 Molly is so very helpful. "No, Molly! Get away! Molleeee!! Somebody put the dog out!" Buttons, hooks and eyes, hem and collar still to come. HEY!! Watch out for the tail! Yay Kaylee! It looks lovely! I can totally relate to the title. 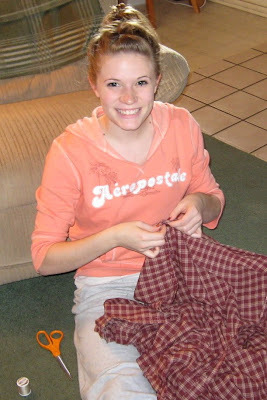 :-D Sewing and STILL sewing . . . I must have spent hours on my dress, just trying to get all the little details done and the fitting completed. I'm tearing some of it apart for some changes for Moorpark. Ha! We'll see how that goes!